I Breathe in deeply and as I do I go within to the Divinity of my Heart where I focus my attention on my Immortal Victorious Threefold Flame. Within the full embrace of my newly expanded Threefold Flame, I realize that I have transcended the old Earth and crossed the threshold into the 5th-Dimensional Crystalline Solar Frequencies of the New Earth. I have truly entered a New Day filled with the full-gathered momentum of Heaven on Earth. With this inner knowing, I realize that I have the awesome responsibility of BECOMING the full manifestation of my I AM Presence while I AM still embodied on the New Earth. This literally means Transfiguring my physical, etheric, mental, and emotional bodies into the 5th-Dimensional Crystalline Solar Light Bodies of my I AM Presence. My I AM Presence is now able to take full dominion of my Earthly Bodies. As this occurs, my thoughts, feelings, words, actions, memories, and beliefs begin to reflect the Transfiguring Divine Love, the Infinite Abundance, Eternal Peace, Bliss, Harmony and Oneness of my Father-Mother God. My physical reality is being transformed, and I now experience at every level the Infinite Physical Perfection of the New Earth. Within my I AM Presence, I AM the Crystalline White Ascension Flame blazing in, through, and around every particle and wave of Life. I AM liberating every physical and chemical interaction within the Earthly Bodies of ALL Humanity, the Elemental Kingdom, and the physical, etheric, mental, and emotional strata of Mother Earth. The Ascension Flame is raising all of the energy bonds between atoms and within atoms into the 5th-Dimensional Crystalline Solar Frequencies of God’s Infinite Perfection and the New Earth. Within my I AM Presence, I AM the Ascension Flame and the 5th-Dimensional Crystalline Solar Frequencies of Light blazing through every interaction within Humanity and all of the energy bonds therein—this includes the relationships of all people, organizations, races, religions, and nations—liberating these interactions into the Harmony of a Higher Order of Being, thus Ascending the influence of Humanity’s I AM Presence on Earth. Within the embrace of the Ascension Flame, I AM now clearly receiving Divine Promptings, Ideas and Concepts from my I AM Presence. I realize that I AM a Living and Light-filled Temple of Vibrant Health, Eternal Youth, God’s Infinite Abundance, Eternal Peace, Harmony, Balance, Happiness and Abounding Joy. 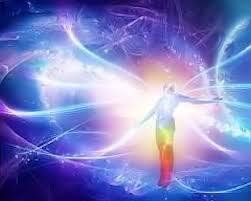 Daily and hourly, the Ascension Flame is lifting me into the Higher Reality of the New Earth. Within this octave of Light, I AM Ascending into the 5th-Dimensional Crystalline Solar Light Bodies of my I AM Presence. Through a process of Divine Alchemy, these perfected vehicles will manifest through my Earthly Bodies in the physical World of form where they will be permanently sustained by God’s Divine Grace. I Breathe in deeply and I become aware of my Earthly Bodies. My I AM Presence now assimilates my 5th-Dimensional Crystalline Solar Light Bodies into my physical, etheric, mental and emotional Earthly Bodies. This occurs at a cellular level, as I Breathe in and out deeply and rhythmically. Please help our Father-Mother God’s Clarion Call tangibly reach the maximum number of Lightworkers by forwarding this email to your mailing list. Please share on Facebook, Twitter and any other social media you have access to.